Thank you SO very much for all your thoughtful gifts and student created pictures! 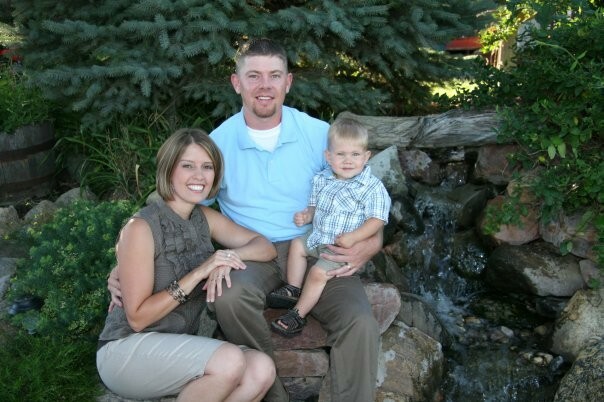 I appreciate all your support this year and wish a wonderful Winter Break with your first grader! Remember there is no school until Thursday January 2nd and January 3rd. Thursday 1-2-13 is day E, a PE and Music day and Friday is day F, a Library Day. We have added 2 new reading strategies to our CAFE board! Our first strategy helps us comprehend what we read. This strategy is compare and contrast- to tell how are books alike and how are they different. We used our Gingerbread books this week to compare and contrast the different versions. When we compare and contrast we pay attention to the most important information like, characters, setting, problem, resolution, and conclusion. The second strategy helps us read a variety of words (accuracy). The strategy is- look for chunks and small words you know. For example, while reading the word together a reader can see right away the th and er chunks and the small word to. We have started a "chunks we know" poster to help us keep track of all the word parts that can help us read tough words. In writing we are beginning our NonFiction writing unit. We began by looking at Mentor texts to get a good understanding of what features we may need to include and some ideas on how to tell more about one topic while staying on topic. Then we brainstormed a list of things we know alot about and we will be choosing one of the listed topics as our first all about book this year! We will continue this learning when we come back from break. 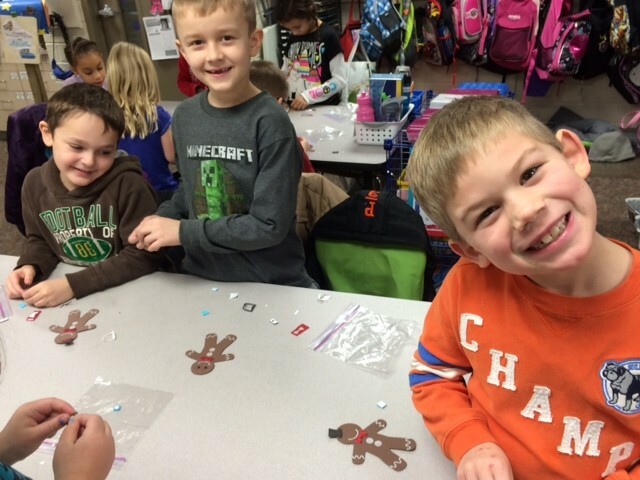 We had a blast decorating and eating our very own gingerbread man after reading all about them this week! 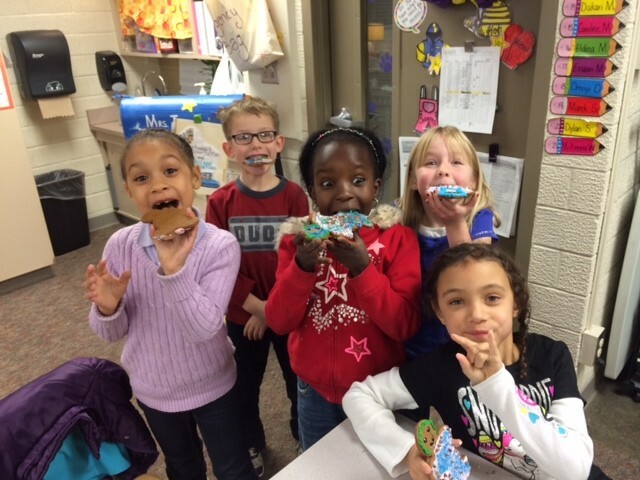 We had so much fun making our cookie we thought it would be fun to make one to keep a bit longer! 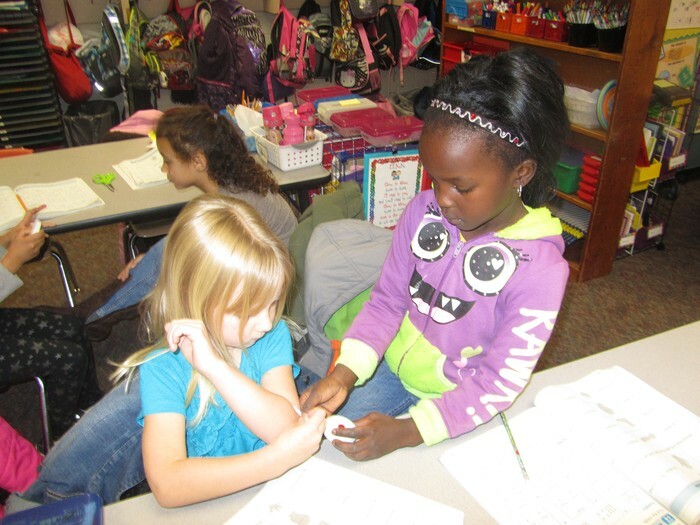 Unit Four Math has allowed us to explore measurement using both standard and non-standard measurement tools. We even got to use a tape measure to measure friends! NO SCHOOL December 23- January 1.